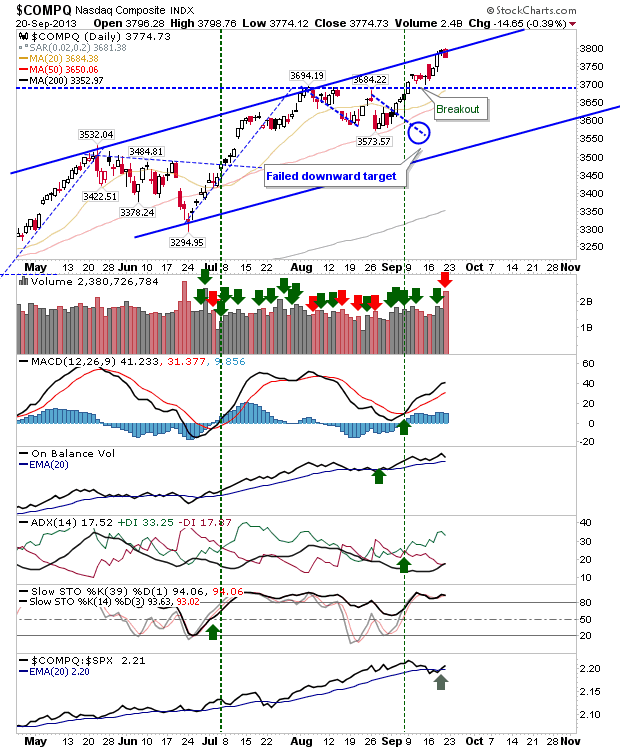 After Thursday's stall at channel resistance, sellers returned with volume to push indices away from resistance and back towards 50-day (20-day) MA support. 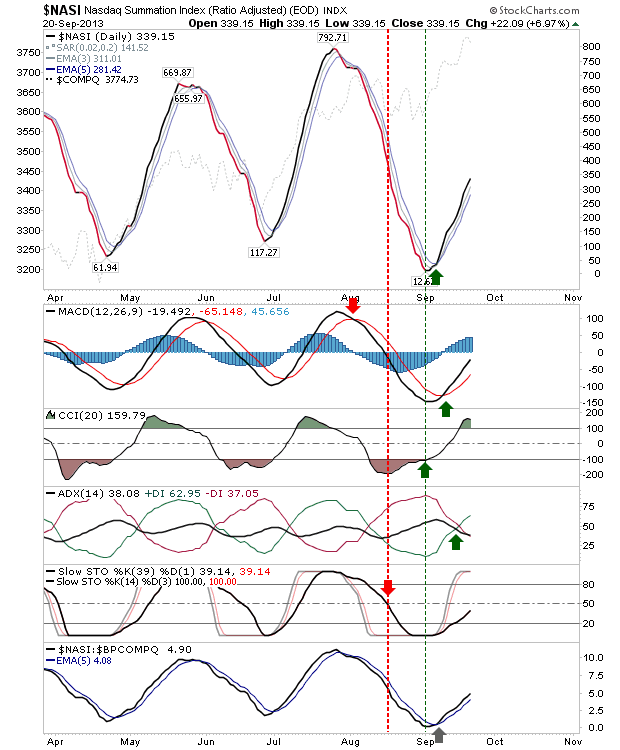 Selling volume was significant, but the broader trend is bullish and Friday's action didn't change this. Just as the Dow had a picture perfect bounce off channel support, the S&P had a picture perfect bounce off channel resistance. Plenty of support below, but the index could spend another few days heading lower. 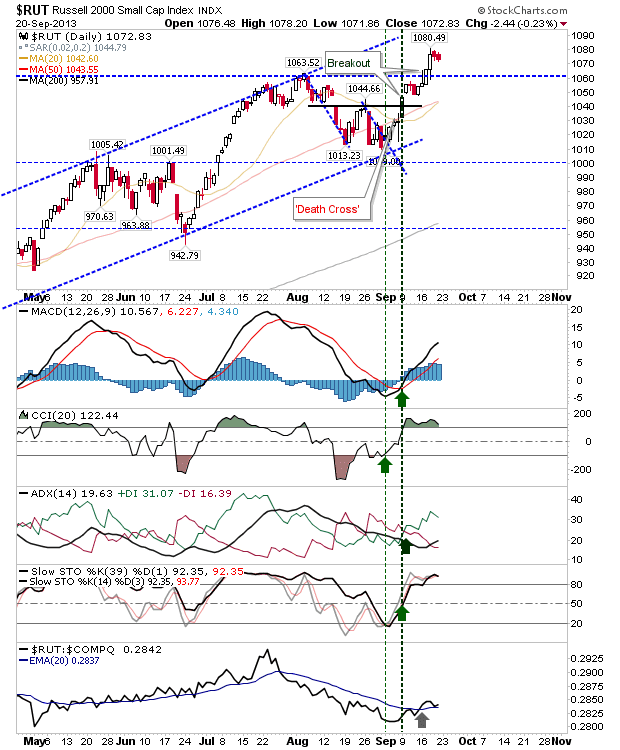 The Nasdaq has only started its channel reversal. If Monday closed with a gain there would be a good chance for a channel breakout, but the likelihood is for resistance to be honored for a little longer. The Nasdaq Summation Index continues to increase in strength and suggests the rally has more upside. So whatever happens Monday, any further selling would prove an attractive buying opportunity until the Summation Index breaks itself. The Russell 2000 suffered little ill effects from Friday's selling. The breakout is intact and this index offers the best opportunity for buyers. 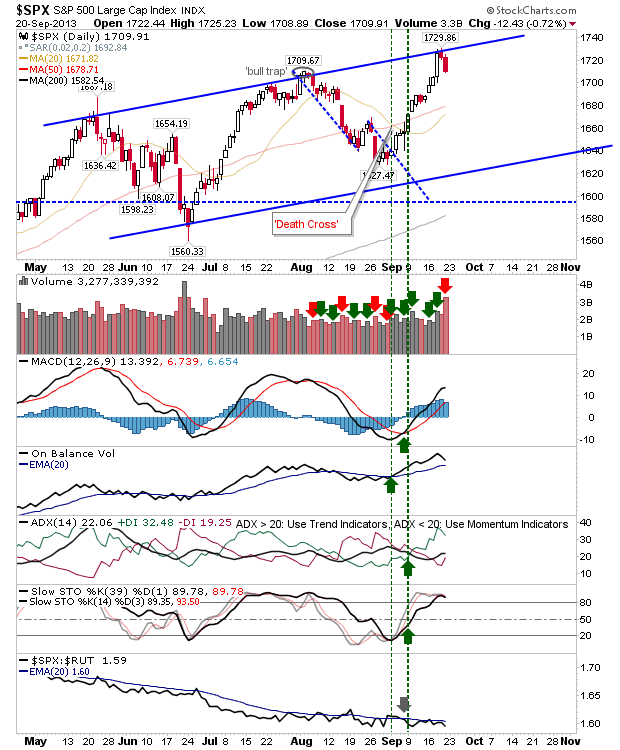 The Dow, like the S&P, also had a picture perfect turn off channel resistance. 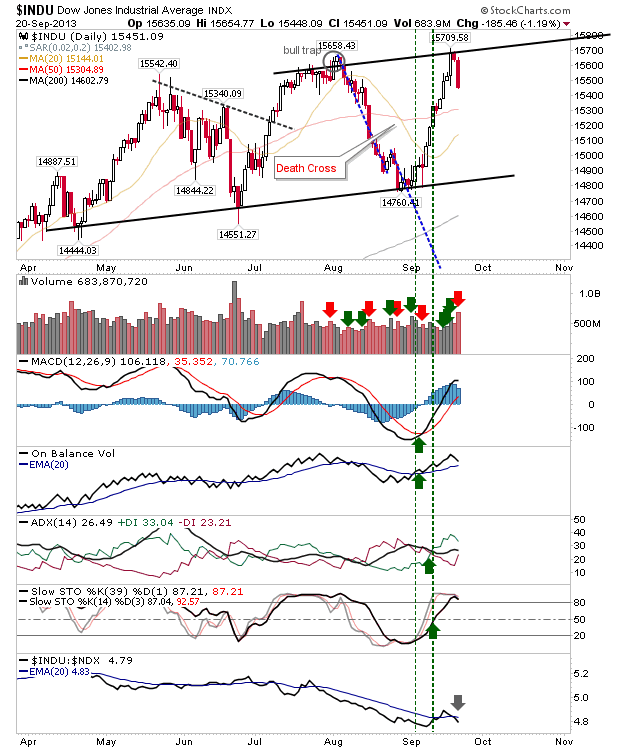 Monday is set up for more losses, but there is enough bullish sentiment to suggest buying the pullback might prove fruitful. Stops can go on a loss of 20-day MA.